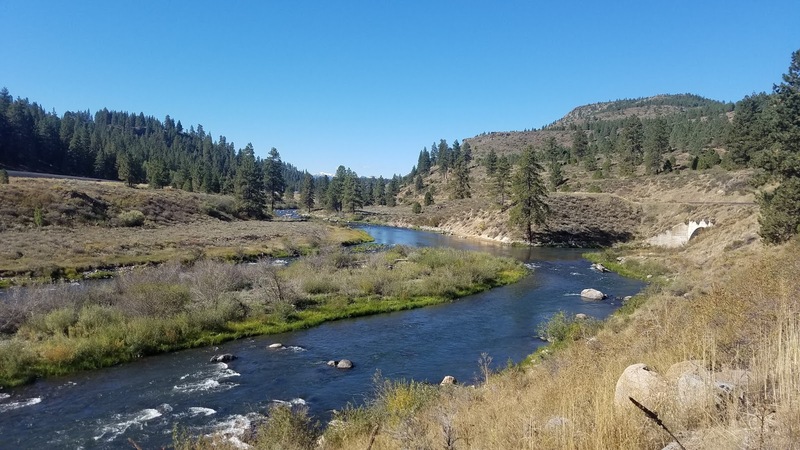 The Truckee River is perhaps the most fly fished river in California. 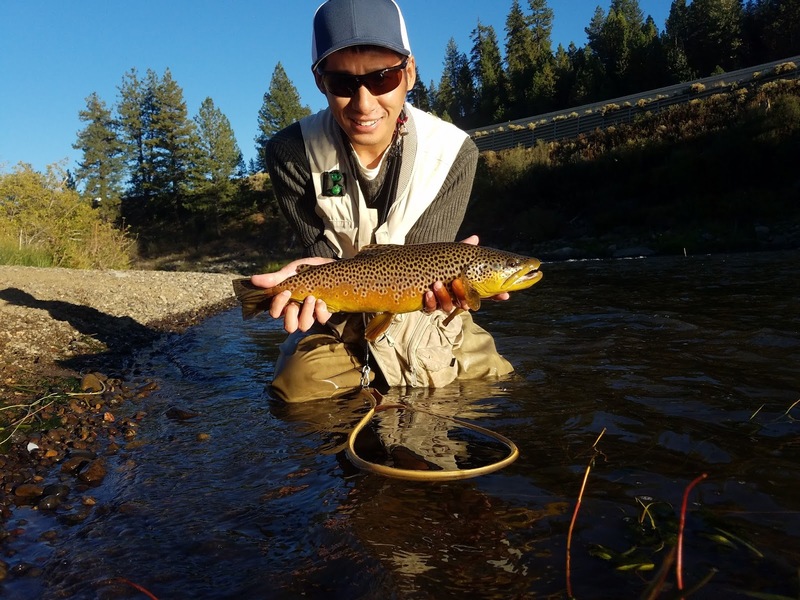 Full of quality browns and bows that can get up to 30'' the Truckee is one of the best managed fisheries in the state. Now that I'm within day-trip driving distance to this amazing fishery it was about time I took the chance to get to know the Truckee River. I've fished the Truckee a few times before but have never done exceptionally well. Most of my lack of success stems from the fact that I've never fished the river at the right time. With fall offically in the air it was prime time to explore the Truckee. I started the day around Boca Bridge. I've been wanting to fish this section but have never had the opportunity. 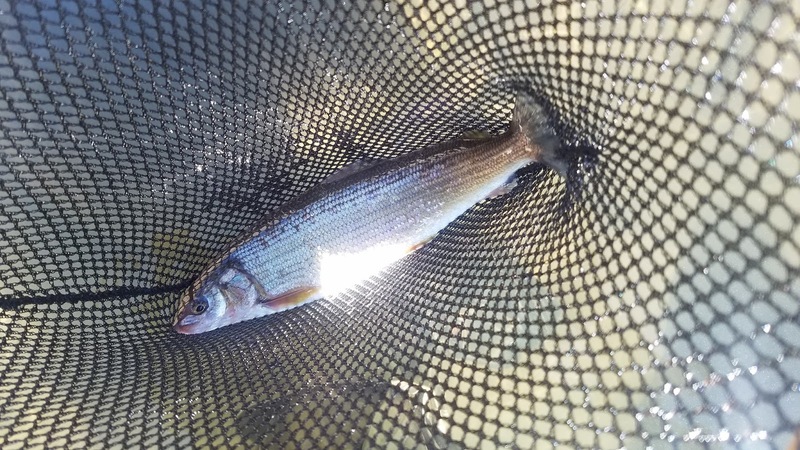 I fished from the outlet of the Little Truckee to HWY 80 bridge. 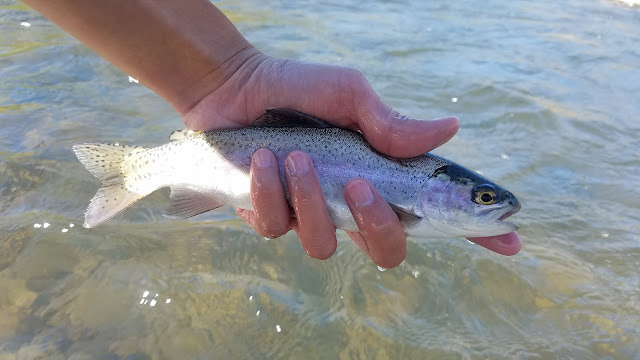 Most of the fish I caught were rainbows that were holding in-between fishy pocket water. These bows were mostly in the 10'' - 12'' range taking BWO nymphs. There was a deep drop-off in this section that I just knew had to have a big brown in it. I made several passes through it with my indicator hooking a few rainbows along the way. Through one of my passes I watched as my indi sank down within half a second. Fish on! Finally my first Big Truckee brown but easy come easy go; at least I knew where he lived. After a few hours of covering water I headed east to explore the Glenshire section. The water here reminded me of a small stream fishery that would have been great to fish during the higher flows this spring. I didn't spend too much time here because I felt that this wasn't the place to be. I did manage to hook a few small bows while exploring this section. The next section I fished was the Hirschdale section below the bridge. This is the section I usually fish however I've never had very much luck catching fish here. 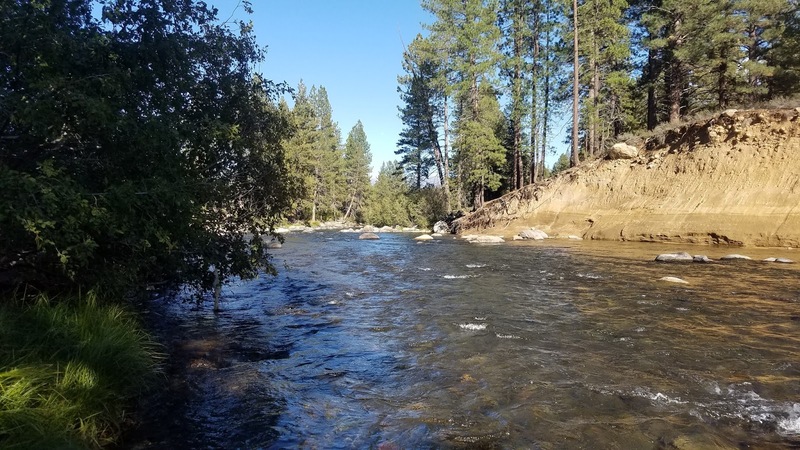 I covered water fast because I know the Truckee is a 90% of the fish are in 10% of the river type of stream. I hooked a few rainbows in this section and called it quits once I had made my way into the canyon. With about two hours of daylight left I stopped by the Boca bridge section again to try to see if I could fool the brown that I had hooked earlier to take again. I covered a bit of water first to see if I could find any new fish in the same spots but I had no such luck. Once I finally arrived at the pool I threw my rig into the same seams and riffles that I had fished previously. Nothing was biting. Disappointed, I slowly started stripped my flies back to recast and then it happened. After a bit of chasing I had finally landed by first big Truckee River brown.